how do I know if my house is a heritage house or heritage listed? You have bought a heritage house, and now heritage house renovation is on your horizon. But first, you want to find out if your home is a listed heritage house. There are two ways you can find out. First, and the easiest way is to contact your local council and ask to speak to the town planner. The town planner can tell you if you have a heritage overlay on your title. At the same time, you can discuss with the town planner what this means to you. What restrictions are on your home site because of this heritage overlay. And what changes you can make to your home. The second way to find out is relatively easy as well. You can check your house Title to see if it states there are any Overlays on your Title. It will undoubtedly say it on your Title documents if you have a Heritage Overlay. Also, it will indicate if you have other Overlays on your Title. You want to know if you have any restrictions on your Title. Before you start work on your home renovation project. what does a heritage home mean? You may think a heritage home is a grand stately home build in the 19th or early 20th century. Well, it could be a magnificent home styled in the Victorian era. These are not the only heritage homes around. A heritage home could be a yellow brick block of flats from the 1970s. You might even find a heritage home that you think looks ugly. The local councils have surveyed all heritage homes in their district. And identified buildings of significance. And it is defining them on the local planning scheme of your neighbourhood. If you are in Victoria, Australia you can look up your Council’s Planning Scheme. You can find this on Planning Schemes Online. From here you can look at the Schedule to Heritage Overlay file. This Schedule to Heritage Overlay will identify heritage buildings in your area. So what does a heritage home mean to you? You may love the way your heritage looks. Or it may be a dream of yours to have a heritage home. But when it comes to renovating a heritage home, there may be restrictions on what you can do. It may limit the choice of colours you can paint your heritage home. This limitation may apply only to the outside of your house. The interiors of your home may be of heritage significance. And there may be limits to how much of the interior of your home you can change. If you have a heritage home and you are planning to renovate you will need to apply for a planning permit. The heritage architect at your council will review your application. And may or may not approve of your plans. If your Planning Permit Application is disallowed, then you may need independent advice. You may need to consult with another heritage architect to seek their help and opinion. A little-known fact is the town planner can approve your town planning permit. Even if the heritage architect does not. The planner will only consider this if they see merit in your home project. It is entirely up to their discretion to do so. And sometimes it is about finding an acceptable compromise. So if you are looking to buy a house because you like the heritage features of the home, also, after you purchase your heritage house, you think that you would want to renovate and do the house up. First, do yourself a big favour. Check the Overlays on the Title. And then what the Overlays mean to you. To see if you can do what you want to do to the house is possible. It may save you some major headaches when it comes to getting your planning permit. 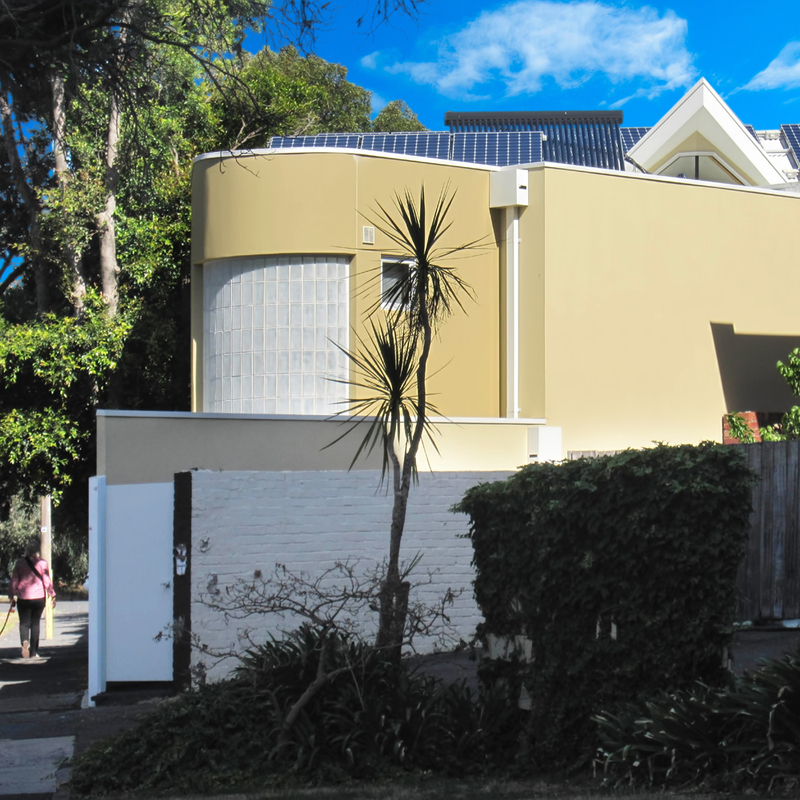 In the instance of the West St Kilda home, the Client had a heritage house on their homesite. They didn’t particularly want to keep the heritage house. And would have preferred to demolish the house but there is a Heritage Overlay on the site. And the house was built in the year 1900; this meant that the heritage house had to remain. So it was a matter of finding out the restrictions on the existing heritage house. And it was not you should bulldoze all heritage homes. It is quite the opposite. The quality that you see in heritage homes is hard to replicate. You don’t want to replicate a heritage house. It will not look authentic. You can restore a heritage house and bring it back to its original glory. It is expensive to reproduce to the degree that you get the same quality finishes. And to be clear on this point, heritage homes are worth retaining. “That in their opinion this was not a significant heritage building”. And to some degree, the council planner agreed. The front two rooms and the chimneys of the existing heritage house had to remain. With the demolition of the rest of the building allowed. And the planner approved the addition of a contemporary double storey extension. The result was a home that combined workspaces, health and wellness rooms. Green spaces are an integral part of the design. So the landscape is evident from all areas of the house. Courtyards, a private roof garden and a balcony, make up these green spaces. And from them, you have long distance vistas and parkland views. Intimate garden courtyards and areas provide a sense of harmony and serenity for the Clients. In particular, the yoga room has a window wall that looks into an enclosed garden space. These green spaces provide the aesthetic to the house. That support the clients’ strong convictions to sustainability and a green lifestyle. The new addition to the heritage home is contemporary in style. The intention of making the addition contemporary is to create a clear distinction from the old building and the new addition. Resulting in a clear identity to the section of the house that was the original heritage house. It provided a clear visual and physical separation of the old and the new architecture. The roof garden provided the physical separation on the first floor. The restoration of the two rooms of the remaining heritage house made for ideal working spaces. And the clients utilised each room as their studio offices. The home is open and light and feels like luxury living. With treetop views to the treetops from the first-floor level. Giving the home has a sense of openness which is rare in inner-city house sites. There are expansive views from the living areas. And you can find private and quiet solitude on the roof garden if you so desire. West St Kilda is an inner-city suburb located on Port Phillip Bay in Victoria. It is in a temperate climate zone. 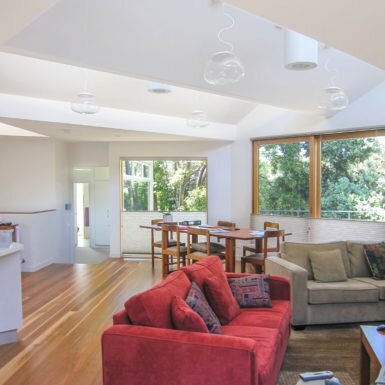 The mild climate makes it ideal to design a home to be comfortable all year round. Without becoming too hot in summer. And too cold in winter. The home site shares a neighbouring party and boundary walls with a brick garage and brick wall on one side boundary. And a house party wall along the other side boundary. The west st Kilda house has views of the gardens, parklands and treetops. 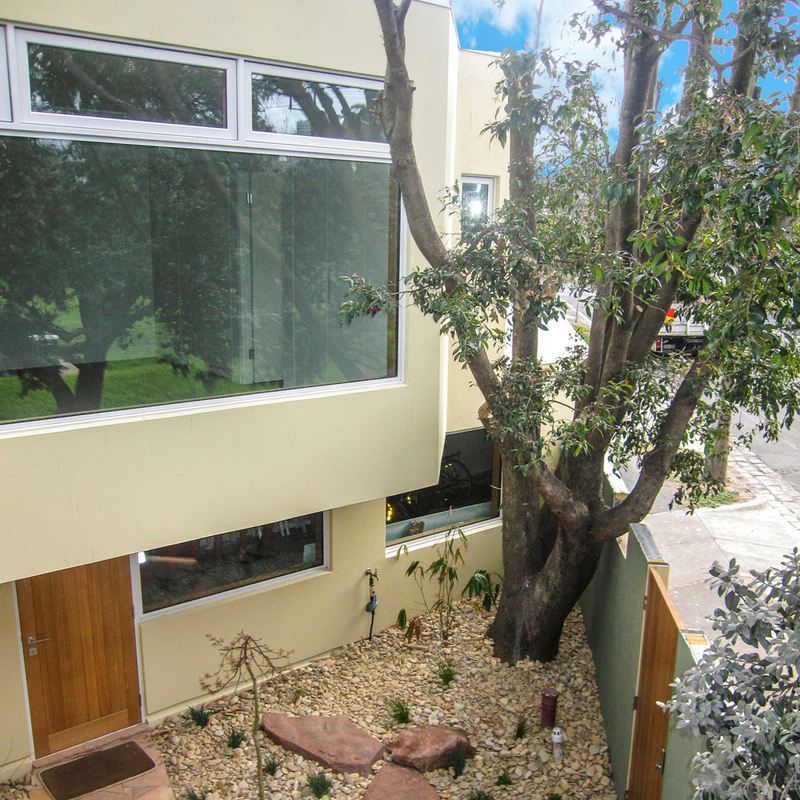 BP Architects design sustainable buildings that help you live in a green lifestyle. 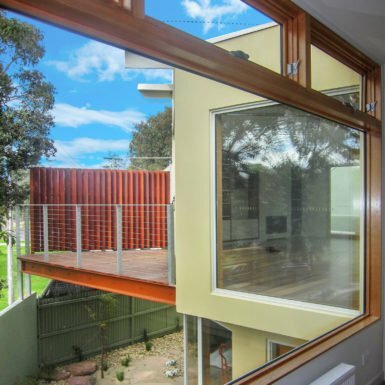 The West St Kilda heritage house used phase change materials inside the wall cavity. The phase change materials provided thermal mass inside the heritage house renovation. 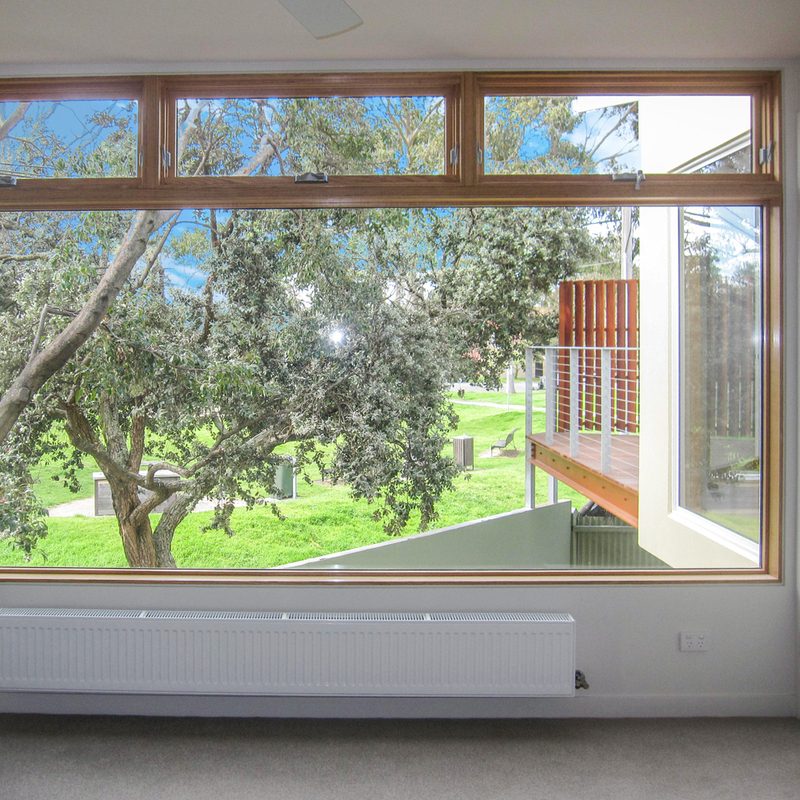 Thermal mass inside a home will help maintain comfortable indoor air temperatures. Lighting for the house used LED energy efficient lights. The rooftop solar electric system is a 7.2 KWh photovoltaic (PV) array. The Client established that this PV array exports enough power for nine homes. So the design of the West St Kilda heritage house renovation is contemporary and innovative. And it has a high level of energy efficiency. There is low household energy consumption. Comfortable indoor air temperatures all year round. 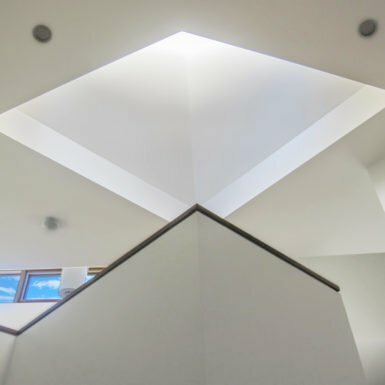 Natural daylighting levels light up the home. And a features a north facing the solar courtyard. 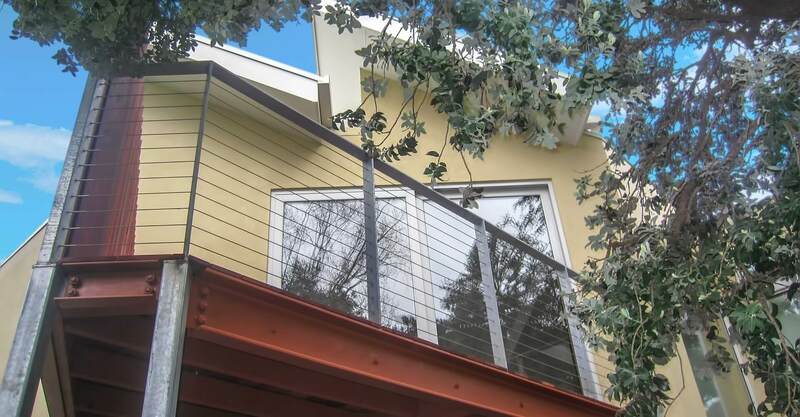 Although the house is contemporary and innovative in design, it is also highly energy efficient. The home features low household energy consumption, comfortable indoor air temperatures, natural daylighting levels, a solar courtyard facing the north and much more. 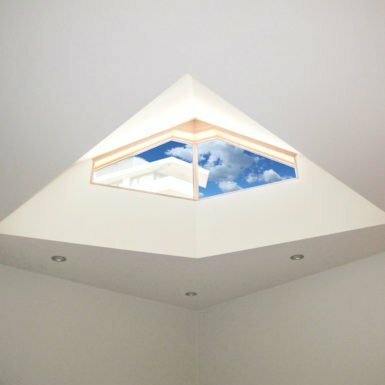 The north facing sky window over the stair provides natural lighting. Allowing the winter sun to warm the living areas. And providing sky views from within the house. Adding to that sense of openness so rarely found in inner-city homes. The sawtooth roof supports the photovoltaic array. And the south-facing windows provide a soft diffuse light into the living areas. You want your home to be convenient with access to modern day technology. And the clients wanted a small ecological footprint on their environment. The design innovatively uses green sustainable and passive house design. This home allows Clients to live a luxury lifestyle in a sustainable house. BP Architects are expert in the field of sustainable house design. 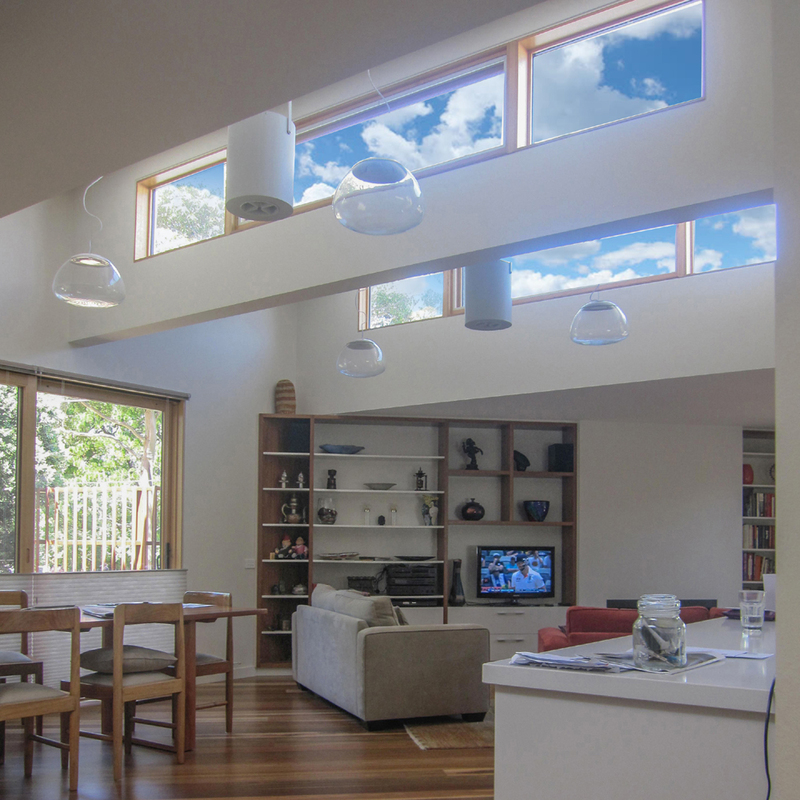 The sustainable homes that we design meet the specific requirements of our clients. And are environmentally friendly and contemporary in design.